Film theory no longer gets top billing or plays a starring role in film studies today, as critics proclaim that theory is dead and we are living in a post-theory moment. While theory may be out of the limelight, it remains an essential key to understanding the full complexity of cinema, one that should not be so easily discounted or discarded. 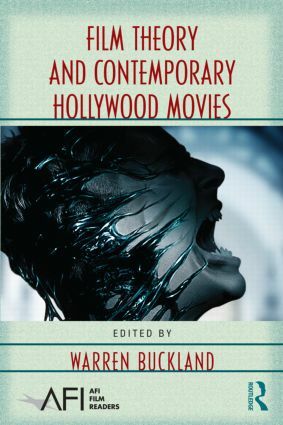 In this volume, contributors explore recent popular movies through the lens of film theory, beginning with industrial-economic analysis before moving into a predominately aesthetic and interpretive framework. The Hollywood films discussed cover a wide range from 300 to Fifty First Dates, from Brokeback Mountain to Lord of the Rings, from Spider-Man 3 to Fahrenheit 9/11, from Saw to Raiders of the Lost Ark, and much more. Individual essays consider such topics as the rules that govern new blockbuster franchises, the ‘posthumanist realism’ of digital cinema, video game adaptations, increasingly restricted stylistic norms, the spatial stories of social networks like YouTube, the mainstreaming of queer culture, and the cognitive paradox behind enjoyable viewing of traumatic events onscreen. With its cast of international film scholars, Film Theory and Contemporary Hollywood Movies demonstrates the remarkable contributions theory can offer to film studies and moviegoers alike.